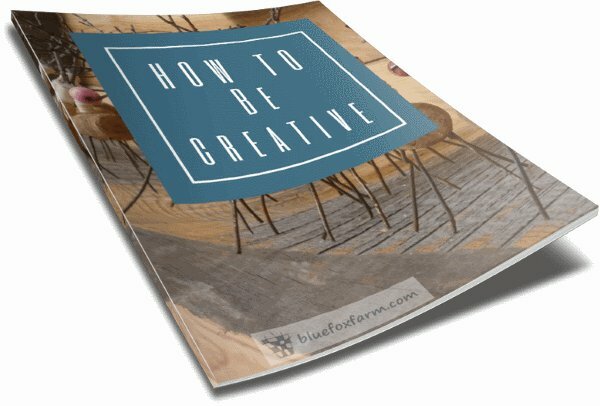 Don't mess up your garden art diy now! 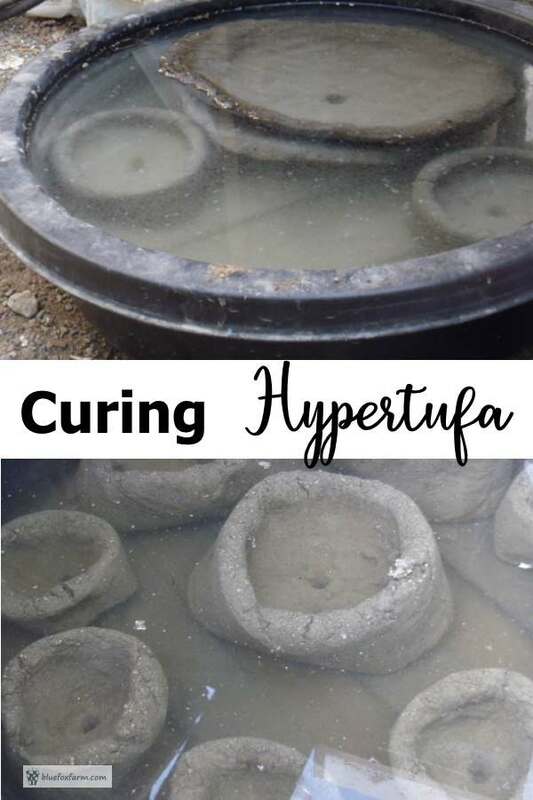 There are several ways of curing hypertufa. Slow and steady is the mantra – drying too fast will only make the item brittle and possibly crack in ways that are not salvageable. How disappointing that would be if your unique garden art fell apart! Once completely dry and cured, the item will be strong and impervious to moisture. 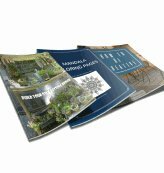 In many cases, simply wrapping plastic film around and over the object will enable it to dry slowly, but in excessive heat and dry conditions something more is needed. Damp canvas or burlap will hold in the moisture allowing the piece to dry slowly. Always keep the pots in the shade, as the uneven heat from direct sunlight will crack the item for certain, even under plastic wrap. 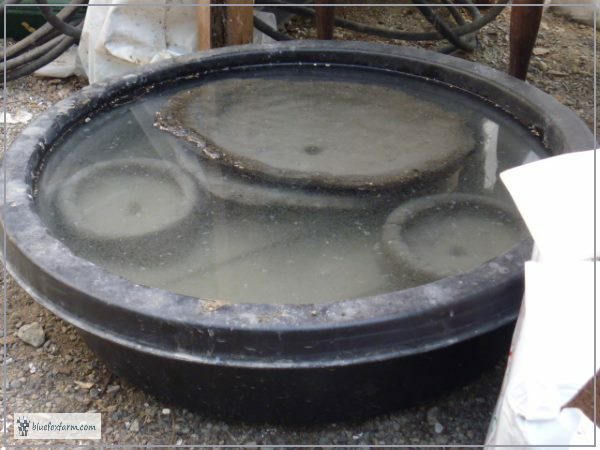 Some hypertufarists use a water bath to cure smaller pieces, by immersing them in a bucket of clean water for up to two weeks or longer. This is how I prefer to do it. Change the water a few times, as it will get slimy. After a week or so, take the piece out and let it dry. They will still be a bit fragile so handle with care. If you use a mold, once the pots are dry enough to handle and can be easily removed from the mold, use the water bath method for small pots. For hand formed items, with no mold, just immerse them in water after they dry under plastic overnight. Brush the outside of the item to make it appear rustic and aged, and then place it carefully in the water bath. 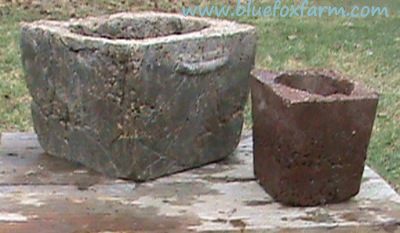 To age your hypertufa project and give it that antique appearance, look at the page on how to make hypertufa look old. Some people claim that it's important to leach out the alkalinity from the piece before planting, but I know you'll be eager and impatient to plant them; this is fine. By the time the roots get close to the sides of the pot, the leaching will have occurred naturally, with rainfall and watering of the plant. If you're really concerned, put a few drops of vinegar in a final bath which will neutralize it. 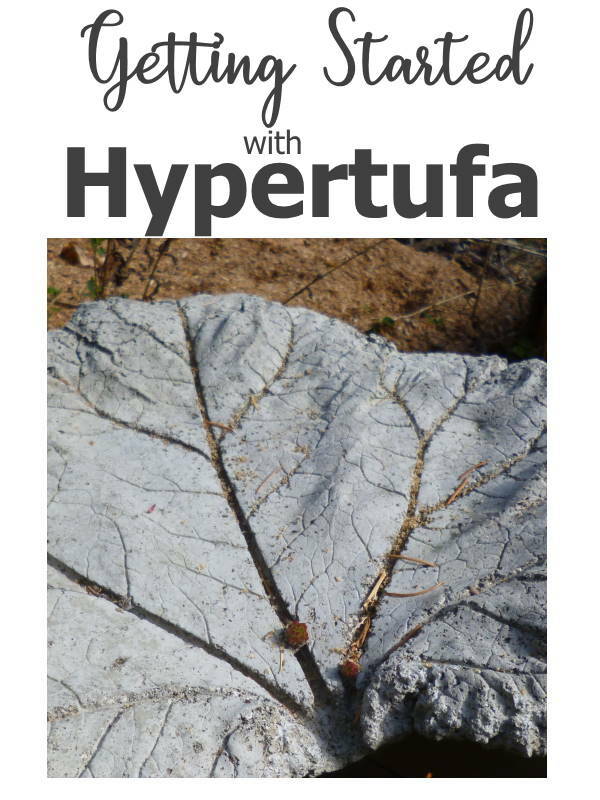 Getting Started With Hypertufa - sign up here!